Posted on 31 October, 2018 by Dana Hanson Posted in Blog Posts, LIFEHouse Church, Loving our neighbor	. But, in my case I say this accurately because one of my closest friends is Scott Friedman, a Jew, and I also have daily conversations with a whole cohort of Jewish friends at my gym. Occasionally, we go to lunch and dinner together. As I have taught you, when you eat together you are more than an acquaintance. Then, there is one of my favorite women in the world, my sister-in-law, Shari, and my beloved nephew, Avi, and my amazing niece, Emma…All Jewish. I mention all of this because I am a human being. I am naturally impacted when slaughter and murder affect those I am connected to one way or another. Just like, it is close to home for me and I pray for God’s mercy for my brothers and sisters in Christ who are persecuted and murdered in many parts of the world. But, right now, we are all thinking one way or another about Jewish people after the recent despicable and malevolent slaughter of the innocent in Pittsburgh. We are grieved and, yes, puzzled, because something like this is so rare in the United States. Rare too, because other than Israel, the most welcoming country in the world for Jewish people to live in is the United States. But, there are always people who do evil and dastardly things in life, including in our own country, and even more close to home, including in our own lives. In fact, at times, the evidence there is a devil can seem to cast a strong shadow over evidence in a loving God. But, if you are honest and observant, you will see that God always shows up in remarkably powerful ways. So, what do we do? Well there is no “we.” We are all individuals and each has a story. My story includes being your pastor, your shepherd. I have the joy of being a shepherd of people who value me, people who are precious to me, whom I value. My friends, here are some observations I trust will be helpful. How are we expected to live together spreading good? We all have moral values. Even when people say they have no moral values, that, in itself, is a moral value. So what are good moral values? Here are my moral values. We love something when we are devoted to its good or well-being. It starts with God. Jesus said to love God with everything we have. That comes first. Then he said to love our neighbor as ourself. When we are obedient to our loving Father it is possible to love our neighbor as ourself. Who do we love? For Christians, Jesus tells us to love each other. This becomes a model for the rest of the world. Then he expands this when he says, “Love your neighbor as yourself.” That’s brothers and sisters in the faith and others who aren’t followers of Jesus. More specifically, your neighbors are those you connect with on a regular basis; those closest to you, beginning in your own household. And, according to Jesus, before you love your neighbors, created in God’s image, you have to love yourself. This starts with working for the good of another person who is created in God’s image. In other words, you. Working for your own good. Treating yourself with respect. Being responsible for caring for yourself. To start with loving yourself means defending yourself against others taking inappropriate advantage over you. You are God’s precious sons and daughters, worthy of love and respect, and God is using you to change the world. You sacrifice your needs for the sake of others, but you also must learn to bargain for yourself so that you don’t end up being stepped on. In the long run this will only make you resentful, vengeful and cruel. 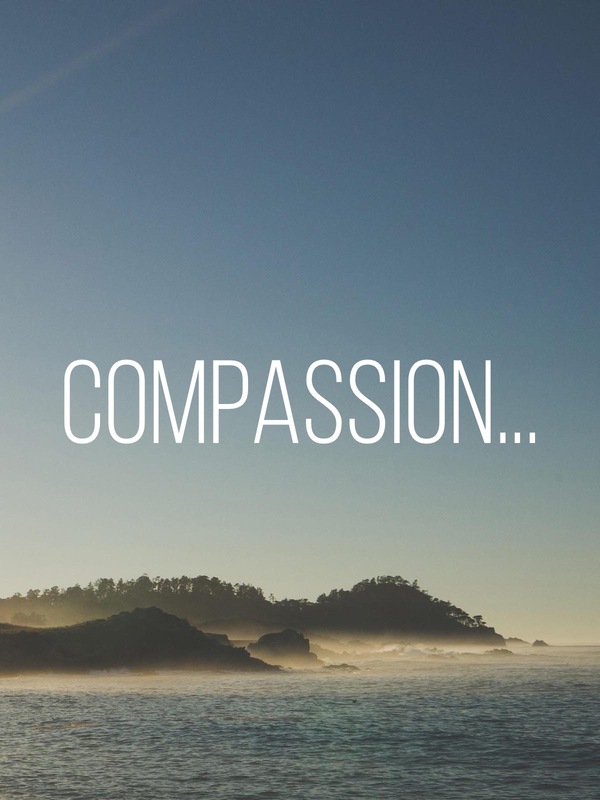 A major step in becoming one of those who love their neighbors as themselves is to decide to live compassion. This is made possible by loving God first and seeking his Kingdom. As we are filled with the power of love that comes from the Holy Spirit, we go beyond anything humanly possible. Jesus tells us we can love those who hate us and he expects that out of us. Work for the good of those who work against us. You see, how different this is, than what is considered the way of the world? Jesus makes it clear by saying these very things. Now the world around us doesn’t necessarily understand what I have just written. For many today, everything is politicized. The way “politicized” works, is those who disagree with you are demonized and the enemy. This is clearly against the teaching of Jesus. Lord have mercy on those who politicize everything. The wisdom of Jesus is so much greater than anything anyone else could possibly teach you, especially if it is politicized. There is a vast difference between teaching wisdom and indoctrination. It doesn’t have to be that way and I know you, as my brothers and sisters, are working hard at not being that way. Lord have mercy on those who seek to indoctrinate rather than seek wisdom. Another challenge many people have in our society relates to Judaism. Though you know much of the history of the Jewish people from your studies and what I have taught you, many people have no idea what the Jewish people have gone through for about 4000 years. The history of the Jewish people is not well known. Anti-semitism has always been a way of life for many, as it is today. In fact it is so accepted all over the world that in many places you can openly hate Jews, and you will not be called on it. For some of you, in your own lifetime, people could openly slaughter Jews and not be called on it. Lord have mercy on those who hate Jews. Posted on 30 October, 2018 by Dana Hanson Posted in Blog Posts, God Time Devotions, Outreach	. With some of the original disciples it starts with doubt. Can you imagine? They have lived with Jesus 24 hours a day seven days a week for the last three years. They have witnessed everything. The miracles. God speaking directly from a great hole torn out of the atmosphere connecting heaven and earth. They have seen a man die and then three days later, the same man come back to life, leave the tomb, and keep on going. Now this man, Jesus, is leaving them. He is entering into the heavens to rule the universe. But before he leaves, he is giving them a final word of encouragement. They see him, and they can’t help but worship him. This is God himself who has come as Jesus. But, then we get this strange phrase. Now, what is this doubt? Some versions of the Bible translate this “lingering doubts.” Well if this means I don’t know everything about Jesus and God the Father and the Holy Spirit and how they want the world to turn out, then count me in. 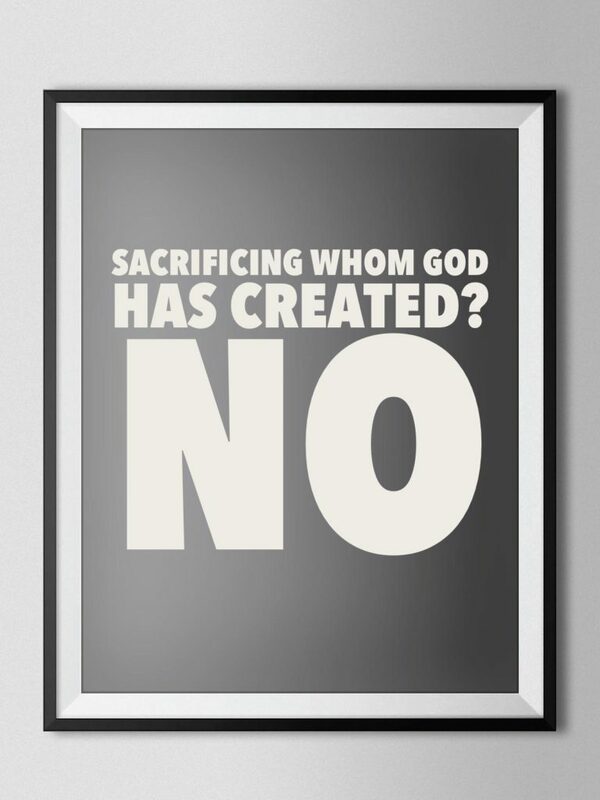 This means God is different than anything in the created order. Fair enough. I don’t know everything there is to know about God. In fact, I never will. So, what does that mean when it comes to sharing what I do know with others? It means doubt is not a reason to keep silent. Once I say, “I trust in God” or “Jesus is my Savior,” everything else I say or do afterward is a witness to my trust. 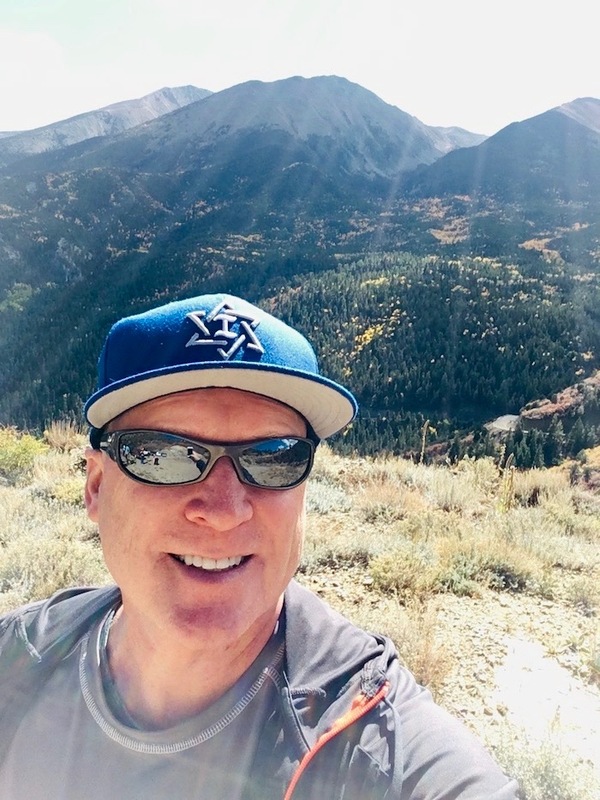 So, it is not a choice as, “Will I share about Jesus with those closest to me?” I am sharing what I think about Jesus by how I am living my life. 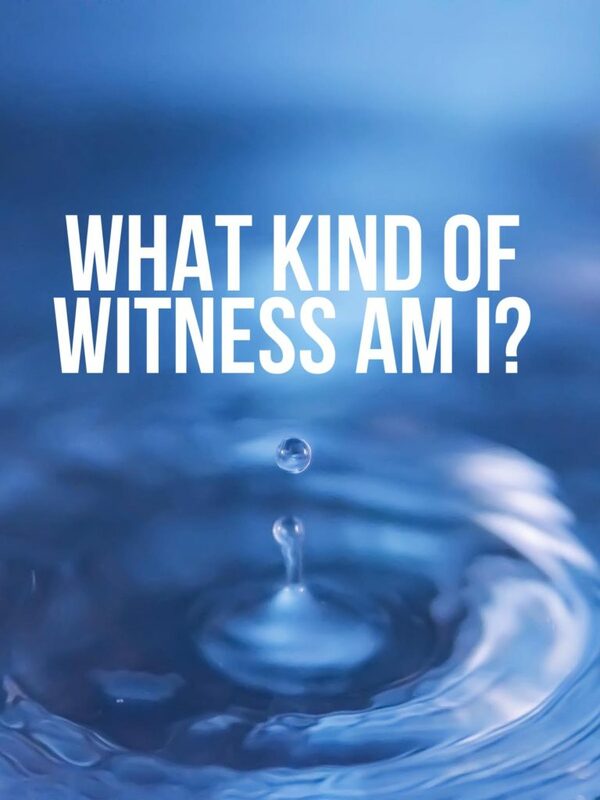 It is not possible to not be a witness for Jesus once I say, “I believe.” The only remaining question is, what kind of witness am I? Posted on 20 September, 2018 by Dana Hanson Posted in Blog Posts, Loving our neighbor	. Our LIFEhouse community has begun our intentional focus on sharing the love of God with those closest to us. Pastor Lynn Cory spoke of how much impact we have together when we look at our own homes as a lighthouse for the neighborhood. This week, many of us have begun the practice of walking in our neighborhood and praying for the people who live in each home. We may know them or not know them, but Pastor Lynn gave us this wisdom. • Pray for your neighbors by name, considering their physical and spiritual needs, concerns, and health. Ask the Father what He is doing in your neighborhood. 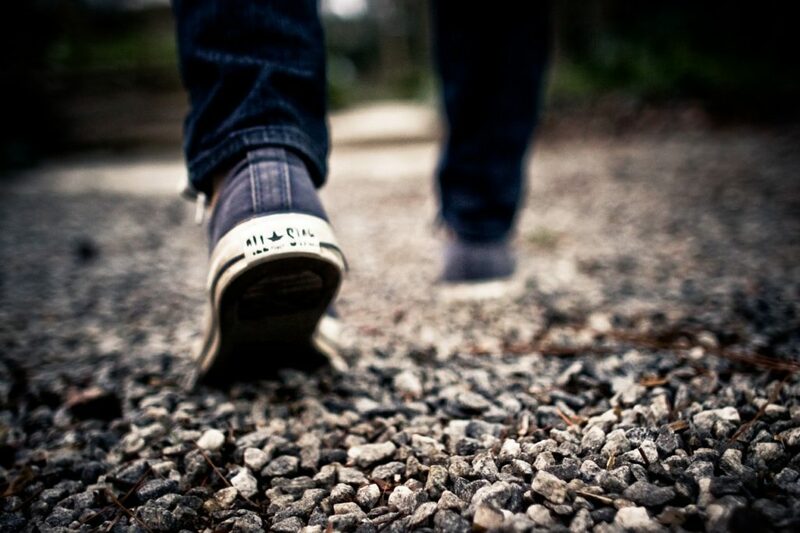 While you are walking and praying, engage any neighbors you may meet along the way. • Wait on God. Your Father is already at work in your neighborhood. Wait for Him to invite you into what He is doing. This is a waiting with great anticipation. • Watch to see what the Father is doing. As you are praying, He may reveal things through something He puts on your heart or speaks to you, as you talk to a neighbor, or as you see a need. • Join your Father as He invites you into what He is doing in your neighborhood. Enjoy the adventure! Posted on 13 September, 2018 by Dana Hanson Posted in Blog Posts, God Time Devotions	. I am led to examine closely what Jesus means by “love your neighbor as yourself.” In particular the “love yourself,” part. I have been strongly influenced by Dallas Willard on this topic. We start with a biblical definition of love. Dallas says, Love is not desire — it is to will the good of others. We say, “I love chocolate cake!” But really we want to eat it. We love something or someone when we promote it’s good for its own sake. To will the good of others. So, to love your neighbor as yourself is to work for your neighbor’s good and to love yourself is to work for your own good. As you are able. As you have resources to do this. First, let’s think about what he is not saying. Jesus never tells us to love the whole world. It is God who is capable of loving the whole world, not us. Loving everyone is God’s job, not ours. No, love the whole world is not a general command from Jesus for us. He is quite specific in what he is saying about love. Jesus gives us three commandments about what our love looks like. The three-fold commandment of Jesus to his students is to love our neighbor as ourselves, lay down our lives for our friends, and love God above all else. Another thing Jesus doesn’t say about love is to work for the good of others and not ourselves. In fact, the opposite is true. We cannot work for the good of others unless we are taking care of ourselves. Seeking our own good. Consider this. 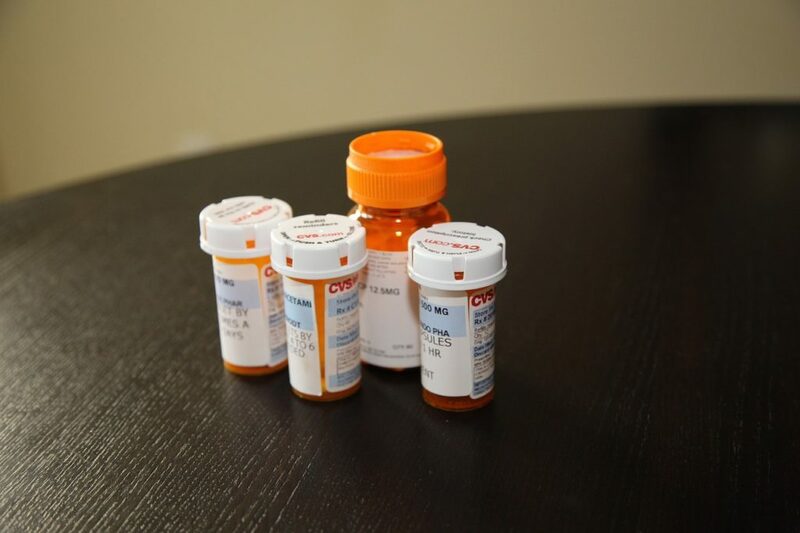 There is a study done recently about prescription medication in the United States. The results are not very encouraging. One third of all patients who receive a prescription, and have access to the medication, don’t get the prescription filled. 33% of all people who go to a doctor and are prescribed medication don’t get the prescription filled and don’t take the medicine. Another 33% of the rest of the patients, will fill the prescription, but then won’t take the medication correctly- they’ll miss doses, they’ll quit taking it early, or they won’t take it at all. So, 66% of people who need medicine, have it prescribed and have access to the medicine- don’t take it or take it wrong. What an eye opener this is. We speak of a health care crisis in the United States but in this case it has little to do with health insurance or ability to pay and such. No. This is about 2/3 of the people in the United States who do see a doctor and are prescribed medicine, either ignore the medicine or get the medicine, and then take it sporadically, or don’t take it at all. Yes, we do have a real heath care crisis if 2/3 of people are not being responsible for their own health care. They are not loving themselves. Another study was done specifically on kidney transplant patients. As you probably know, without a properly functioning kidney there are two choices. Dialysis or transplant. Some of you have had dialysis or know someone who does. Some of you know someone who has needed a kidney transplant or had one. Here’s what we know. To get a kidney transplant is not easy. Donors are rare and you have to wait in a long line to find a match and then if you receive one your body has to accept the new organ. But, the alternative is worse. Dialysis is very difficult. From 3 to 7 days a week, up to 8 hours at a time, for the rest of your life? Sure, a transplant it’s challenging, but at least you have a chance. So, let’s say you find a donor. You find a match. You have the surgery. But, you’re not done, yet. Your body still has to accept the new organ. If your body rejects the kidney, it’s back to square one. Fortunately, there are drugs to fight the body rejecting the kidney. These anti-rejection drugs, do weaken immunity and increase the susceptibility to infectious diseases, but, most people are happy to accept the trade-off. Unfortunately, there are recipients of transplants who still suffer the effects of organ rejection, despite the existence and utility of these drugs. But, many times this is not because the drugs fail. No, it’s more often the case that when there is organ rejection it is because those who were prescribed the medication did not take it! Can you imagine? How can this be? People who do not take their medication even though it is available have not learned what it means to love yourself. Now, consider this. What if you have a dog who needs medicine? You bring the dog to the vet and the vet prescribes medicine. You use a vet so obviously you care for your pet. If the vet prescribes medication, would you get the pills for your dog and make sure he takes them? Of course you would. What kind of monster would deny their pet? And actually in fact, studies bear this out. According to the research, people are better at filling and properly administering prescription medication to their pets than to themselves. That’s not good. Even from your pet’s perspective, it’s not good. Your pet (probably) loves you, and would be happier if you took your medication. So to work for the good of a person who is created in God’s image, in other words, you, means working for your own good. Treating yourself with respect. Being responsible for caring for yourself. Posted on 11 September, 2018 by Dana Hanson Posted in Blog Posts, God Time Devotions	. The Sabbath. A time of rest and abiding with God. A time of refreshment. Here’s what Luther says about it. We should fear and love God so that we do not despise preaching and his Word, but hold it sacred and gladly hear it and learn it. So, first and foremost the Sabbath is a time to honor God by gathering with his people. Every Sabbath day Jesus invites us to dinner, his holy supper, and he gives us the opportunity to connect with others in our family, celebrating and giving thanks we got through the week, and learning from his Word. Gathering at worship is not all there is to being a Christian, but it is the center of our gladness, our joy. 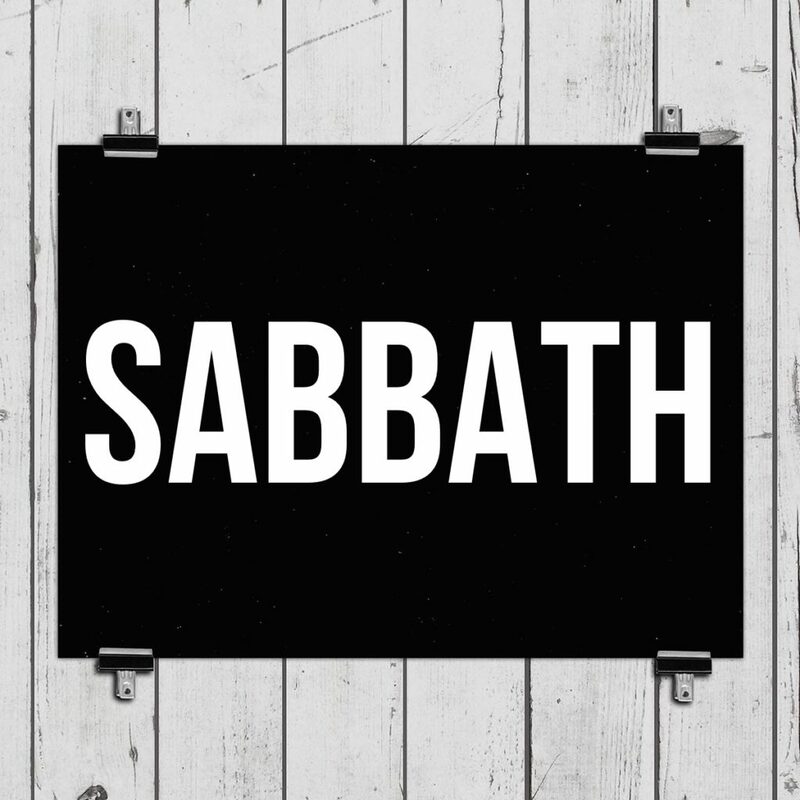 But the Sabbath is more than simply attending worship. You could call the sabbath God’s gracious intrusion. A sabbath every week models the way God himself creates the world. Six days he works and on the seventh day he rests. This is a pattern; a rhythm of life. Think about it. God’s not just commanding people to rest from their labor. Even the animals. When you think about it this way the sabbath is about worship, but it is also God intervening in economic and environmental issues. We rest because God rests. Or another way of thinking about it is God highlights ten laws as central to human thriving. The Ten Commandments. Like, say, don’t murder, don’t commit adultery and…take a sabbath day. Well, what do we think of murder and adultery? Not in favor. When we think or murder and adultery, do we think of not practicing the Sabbath in the same way?